SFR is the home of several top-quality Gypsy Vanners! 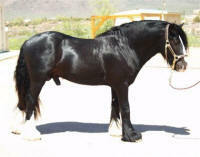 Their stallion Niall is for sale. Eclipse is available for breeding!